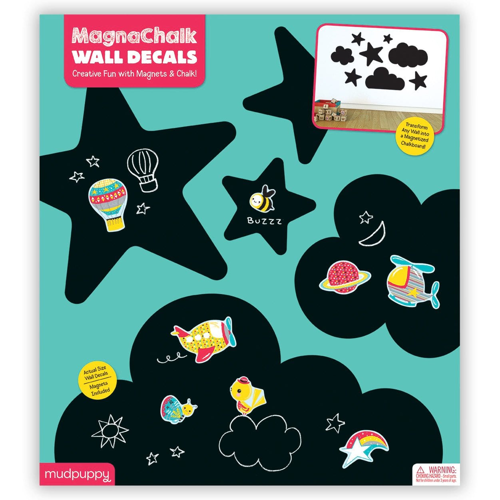 The In the Air MagnaChalk Wall Decals from Mudpuppy are a great way to add fun to your walls with elements of the sky. The In the Air MagnaChalk Wall Decals from Mudpuppy are a great way to add fun to your walls with elements of the sky. 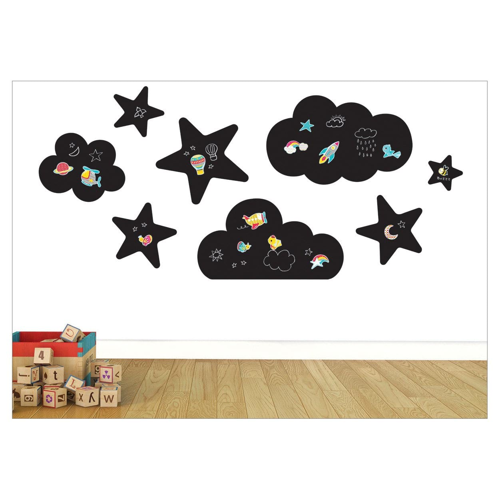 Two sheets of magnetized chalkboard decals with adhesive backings feature various clouds and stars. 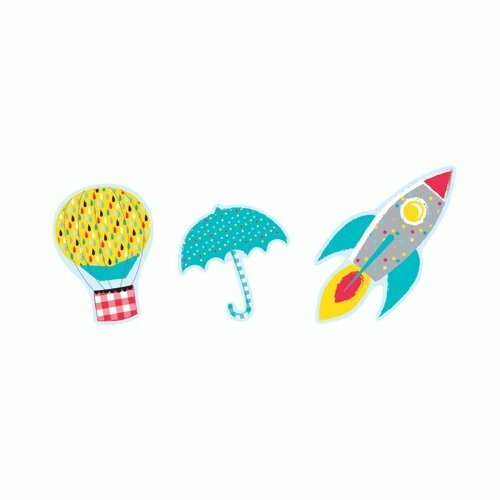 Stick the decals to any wall to create an interactive play space. 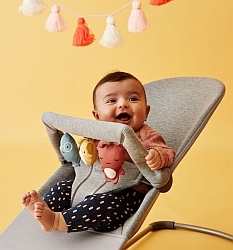 The included full-color magnets offer another level of creativity and fun. 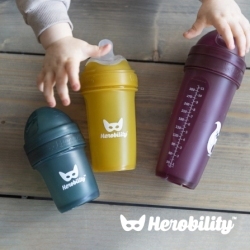 Just add chalk!